Injuries are defined in two ways: (a) the physical damage to the body caused by the transfer of mechanical, chemical, or thermal energy (e.g., a broken bone, salicylate-related poisoning, or frostbite to a toe); and (b) as the event that caused the damage (e.g., motor vehicle crash, aspirin ingestion, or prolonged exposure to cold). When talking about unintentional injuries, it is still common to use the word accident as if unexpectedness or lack of intent were the primary feature of the injurious process. However, although the moment of occurrence of an injury may not be precisely known, its likelihood of occurring is usually predictable. If events are predictable, they are not called accidents; rather, the term injury is used. It is crucial that those who study injury and collect injury data recognize that the term injury can refer both to the physical damage caused to the body and to the predictable causative event. In fact, the International Classification of Disease (ICD-10-CM) uses two separate systems to classify injuries. One is a set of physical damage codes (N-codes; e.g., humerus fracture); the other is a set of event codes (E-codes or External Cause of Injury Codes; e.g., fall on stairs). Together these two systems of classification provide a fuller picture of an injury episode than does either alone (knowing that an infant fell on stairs is important; knowing that the fall resulted in head trauma provides a more complete description. Unintentional injuries are the principal cause of death in the United States for individuals from the newborn period, 29 days, to age 44 years. For infants in particular they represent the predominant cause of nonbirth related death. Fatal injuries are usually recorded according to the events that cause them, such as the number of deaths from motor vehicle crashes or house fires; whereas nonfatal injuries usually have been reported by physical damage groups. This is because fatality data are derived from death certificates, which classify cause of death by circumstances and facilitate E-coding. Morbidity data generally are gathered from medical records and often are derived from N-coding. National mortality data are routinely available from death certificate reviews. These vital statistics mortality data from 2001 show the principal causes of infant (under 1 year) injury death as suffocation, 16.41 deaths/100,000; homicide, 4.07 deaths/100,000; motor vehicle, 3.45 deaths/100,000; drowning, 1.69 deaths/100,000; fire and burns, 1.24 deaths/100,000; and other, 5.63 deaths/100,000 (Centers for Disease Control, 2003). Hospital discharge data from the State of California found that for infants 0 to 2 months of age the most frequent injury cause was falls from heights, not from furniture; for 3 to 5 months, battering; for 6 to 8 months, falls from furniture; and for 9 to 11 months, non airway foreign bodies (Agran et al., 2003). 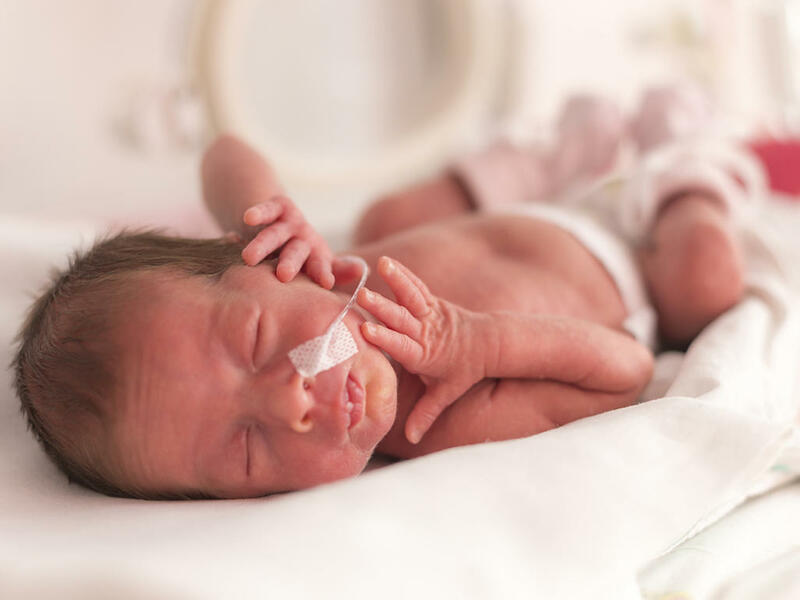 National data are not routinely available regarding the incidence of and associated risk factors for nonfatal injuries in infants, which means that most morbidity data by type of injury event are generated only by special studies. Siegel and colleagues (1996), investigating the association between maternal age and other risk factors for infants deaths in the state of Colorado from 1986 to 1992, found that rates peaked at a maternal age of 22 years for unintentional infant injury deaths. Among the unintentional injury deaths, more mothers had inadequate education, higher proportion of low-birthweight infants, more siblings in the family, and a higher proportion of interpartum intervals or less than 2 years. Data from studies by Jordan, Dugan, and Hardy (1993) and O’Sullivan and Schwarz (2000) documented the nonfatal injury rate specifically for infants (< 15 months) of adolescent mothers as 15.7 and 16.3 per 100 children, respectively. Falls and burns were the two leading causes of injury in both studies. Additional studies on injury rates for infants through age 18 months of life also documented falls, burns, and ingestions as the leading causes of nonfatal injuries, as shown by the work of O’Sullivan and Schwarz with infants of teenage mothers and Schwarz and coworkers (Schwarz, Grisso, Holmes et al., 1994) in an urban African-American population. The most recent explorations of infant injuries have generally been event-specific, for instance Banever and colleagues’ description of infant hand burns caused by touching home treadmills (Banever et al., 2003); foreign body ingestions, particularly coins and batteries (Wahbeh, Wyllie, & Kay, 2002); or the large body of work on infant injuries caused by sitting in the front seat of a motor vehicle with a passenger-side air bag (Arbogast, Cornejo, Kallan, Winston, & Durbin, 2002). Suffocation in adult beds and sofas or chairs has also recently become more widely recognized as an important cause of injury to infants, with a 20-fold increase reported since 1980 (Sheers, Rutherford, & Kemp, 2003). Injury researchers bemoan the flaws in studies of external causes in fatal injuries and the fact that existing mortality data do not give a good picture of how injuries occur. To target intervention efforts, nurses must know how injuries are occurring. These data do not exist because fatal injuries are relatively infrequent events. The few studies on injury risk factors usually use data on nonfatal and minor injuries (which are relatively more frequent) to identify risk factors for injury. Unfortunately, whether or not nonfatal and fatal injuries involved the same causative factors and sequence of injury is not known (Peterson & Brown, 1994, for review). In addition to these data-specific barriers to effective injury prevention, there are others. Many injuries occur because of an inter-action between environmental and behavioral risk; for example, burns from hot water could not occur if water heaters were all set at a safe temperature (below 125°). Environmental change strategies that avoid change in behavior have been favored by injury prevention professionals (e.g., air bags in cars, sprinkler systems in buildings). For many infant injuries, the behavioral piece in injury prevention must be addressed with parents, but there is sparse information about changing parental behavior with regard to injury or most other infant health-promoting activities. Unfortunately, injury often has no meaning to families until after an injury has already affected a child. Moreover, parents can often repeatedly behave in a relatively risky fashion without injury occurring. This leads to complacency and denial of risk. In fact, as parents obtain more experience with the environment around the infant, there is evidence that their expectations of severity of injury decreases. They become more willing to take risks. This adds to the difficulty of undertaking successful behavior change with parents to improve infant safety. To provide a framework for injury prevention strategies, Haddon and Baker (1980) described the occurrence of injuries through the interaction of three factors: an agent that can do harm, a vector or vehicle that conveys the agents, and a host. Knowledge exists on how to change the agents, vehicles, and hosts to prevent death and disability. The value of these options for nurses is that they specify the various stages in the injury process in which intervention could be considered, and they address both behavioral and environmental approaches. At present, other than for motor vehicle injuries, where passenger restraints, drunk driving laws, and road and automotive safety standards have been shown to reduce infant injury and death, there are few supported injury-prevention interventions for infants. Much more work is needed by nurses and other researchers to define and evaluate injury-control strategies. In the meantime, research to understand injury etiology and better data collection systems are urgently needed.